There are so many different tools out there that we combined with the Pomodoro Method, so many iOS, Android and Web Chrome extensions to try, but which one is the best Pomodoro timer and how do they all compare. Let’s explore! First of all, let’s explore the Pomodoro Method. The Pomodoro Method is a time management tool created by Francesco Cirillo in the 1980s to help boosting your productivity and channel more of what Cal Newport calls Deep Work. In a nutshell, you set a timer (the original one was a tomato shaped kitchen timer, that's why "Pomodoro") for 25 minutes and do your focused uninterrupted work. After this time is over, you should take a 5-minute break and, after that, starting another Pomodoro cycle of 25+5 minutes. To explain this in further detail, you’ll have to check out our guest article over on the Setapp Blog, it should outline the method and how to begin using it, as well as handy best practices. Enjoy! You can continue this way for as long as you need. It's also recommended, at some point, to take a longer break. Read more about it on the official website here. Of course, you can use a very simple, analog, kitchen timer for your Pomodoros, but there are tons of great apps out there. 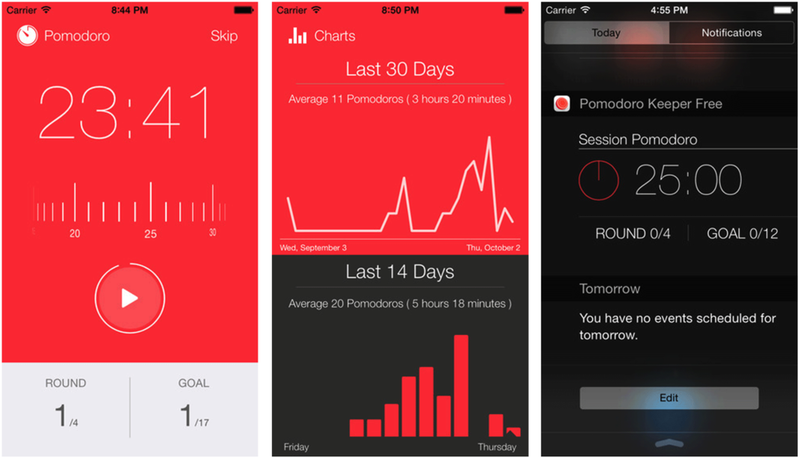 Here is our selection of 12 best Pomodoro apps to boost your productivity. Standout Feature: The Timesheet feature allows you to automatically record your sessions and have a detailed dashboard. The free plan has a 20 sessions per limit. Special Feature: Great stats overview and analytics, the app allows many customization and allows you to set rounds and goals. Plus, notification centre access for tracking outside of your application. It directly connects to Trello and turns your cards in Pomodoro tasks. The Chrome extension is very simple and easy to start using the Pomodoro method. There is also a detailed dashboard with additional stats. The app connects with your favorite task management app without having to create additional tasks. Simple and easy to use on Mac, it’s included in the SeatApp subscription. Simple and basic web experience. Perfect for getting started with the Pomodoro method. Quite old fashioned, but it has a many stats and a great timesheet experience. Beautiful design, very easy to use with additional white noise feature. Helps you to keep focused on your work by planting a tree that will grow in the following time, the tree will be killed if you leave the app. Simple interface and useful widgets. It allows you to track your time by project and categories. Playful black and white design for a simple but effective experience.